 One Investment Group was founded in 2009 as a new entrant to the Australian funds management industry to provide independent responsible entity and trustee services. Today, whilst competitors have been consolidating, One Investment Group has achieved organic growth year on year to become the third largest independent provider of outsourced responsible entity and trustee services in the Australian market. One Investment Group services more than 200 funds and over $25 billion in assets and is the largest provider of Corporate Trust and Fund Administration services in Australia. The founders of OIG together have in excess of 40 years’ experience in mergers and acquisitions, capital markets, funds management and corporate governance. The executive team are supported by OIG’s independent directors who each have in excess of 20 years’ experience in areas including trust administration, funds management, investment banking, capital markets and chartered accounting. Please read below a brief history of how the business came together. One Investment Group was founded in 2009 as a new entrant to the Australian funds management industry to provide independent responsible entity and trustee services. The vision was born following the identification of the limited number of players and the quality of service the incumbents were providing in the market. One Investment Group was established by focusing on distressed fund managers who were seeking alternatives to winding down their existing funds. The objective was to build the infrastructure that would attract managers seeking to establish new funds that we could grow our business with. Following the establishment of One Investment Group, the founders were quickly frustrated by the service and expense of the registrars maintaining the funds' unit registers. One Registry Services was established with the objective of providing friendly and efficient registry services. Its flexible and professional approach allows the One Registry Services team to actively support its clients in managing their investors. One Registry Services is involved throughout the life of a fund and is often the first point of call for investors. By taking responsibility for investors’ administrative issues, it allows clients to focus on their investment and asset management responsibilities. One Investment Group had taken on the management of in excess of 30 funds and was increasingly disappointed with the level of service it was receiving from its external providers of fund accounting services. One Investment Group had to devote significant resources to ensuring that monthly net asset values (NAVs) were correct. Unity Fund Services was established to provide bespoke, accurate and efficient fund accounting services. By employing highly competent and experienced staff and using world class software, Unity Fund Services has earned a reputation for being one of the top fund administrators in Australia, especially in dealing with more complex and difficult funds. Unity Tax Services was added to enable One Investment Group to provide tax services to its clients. Unity Tax Services is able to prepare and lodge BAS statements and income tax returns. It is also able to review and sign off on investors’ annual tax statements. Working closely with the Unity Fund Services team, Unity Tax Services is often able proactively to identify and solve tax issues as they arise, unlike external service providers who often have to deal with them retroactively under the pressure of a lodgement deadline. Unity Tax Services is also able to work with external tax agents in preparing tax returns. One Corporate Trust was established to provide custody, security trustee, escrow and employee share trustee services. Since its establishment, it has taken on new roles at an increasing pace, and in a number of instances, it has multiple engagements for the same client. The One Corporate Trust team plays an important role in holding the legal title or security interest in assets for its clients. They are often involved in complex transactions where the experience of the One Investment Group team and its ability to provide a boutique and nimble service is brought to bear. One Corporate Trust’s clients include both local and international fund managers and financial institutions. Significantly, with the creation of the One Corporate Trust team, One Investment Group became the only fund administration business within Australia able to provide a complete “one stop shop” outsourced solution to fund managers. Alternatively, we are able to offer a bespoke set of fiduciary and/or administrative services designed to meet our client’s requirements.